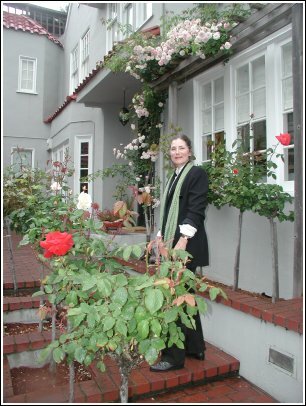 My Rose Garden Guest Rooms is located in a quiet San Francisco residential neighborhood within walking distance to many restaurants and public transportation. The private home was built in 1911 and has been beautifully maintained. It offers a comfortable haven for business and holiday travelers. We have prided ourselves on our hospitality and delicious homemade breakfasts since we opened our doors in 2006. Our many repeat guests seem to think we're doing things right. We hope you'll stay with us and become part of our extended family. My Rose Garden Guest Rooms is located in a lovely upscale neighborhood noted for its scenic walks, fine restaurants, proximity to major tourist attractions and public transportation. San Francisco is known as a TRANSIT FIRST CITY where cars are not necessary to get to where you want to go.